<!-Eric Gill. 1882-1940--> Eric Gill. 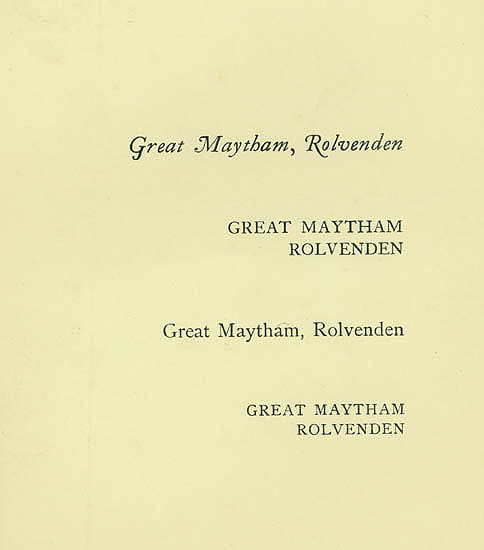 Letterheading for Great Maytham, Rolvenden. 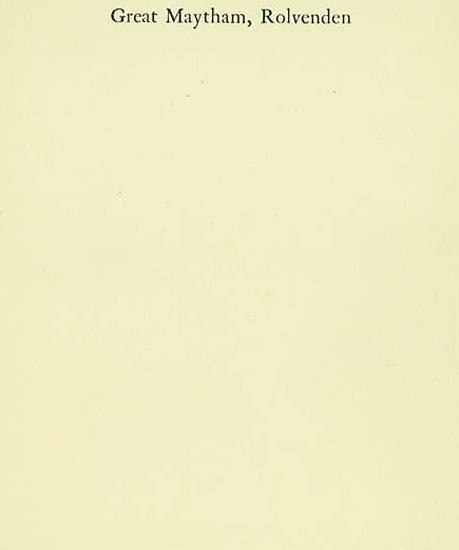 Letterheading for Great Maytham, Rolvenden. 1. Single Typeface. Sheet 7 x 5 1/2. 2. 4 Typefaces. Sheet 6 3/8 x 5 1/2. $100.